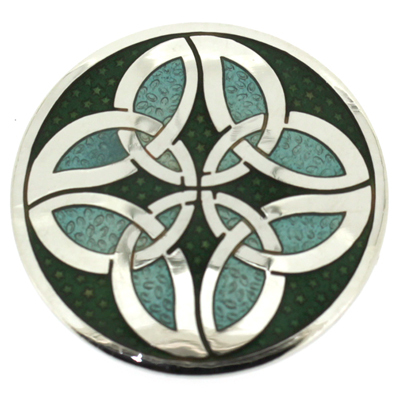 Round Celtic knots circles brooch with green enamel finishing on a silver frame and fastens with a flag pin and revolver clasp. Size: 3.3 cms. I came across this web site and thought you may be interested.